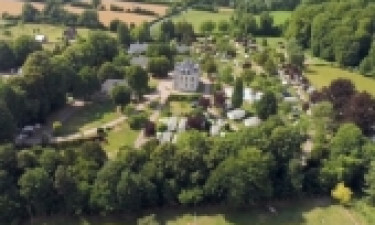 This luxury camping site has a Louis XVI hunting lodge, 6 hectares of lush forest and a lake at its centre. Located in the Calvados region of Normandy, it’s just 25km to the nearest beach with the pretty coastal towns of Honfleur and Deauville within easy reach. Each mobile home here is comfortable and fully equipped so book one today and start your holiday countdown. When the children have plenty of safe and fun things to keep them occupied, parents can enjoy their camping holiday to its fullest. At Le Brevedent there is a heated outdoor pool, a great play area with slides, a kids’ club in high season, a bouncy castle and organised activities such as nature rambles. Not far from the campsite is a zoo, a butterfly park and a long sandy beach which are perfect places to create family memories to last a lifetime. For those who like to take things nice and easy on holiday, there’s a smart sunbathing deck around the pool and a lake where guests can fish or quietly sit awhile. For something a little more energetic, there is table tennis, canoeing, mini golf and long hikes in the surrounding country side. 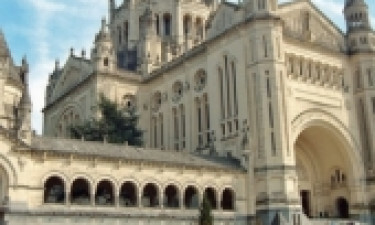 Nearby there are Calvados cellars to visit with tastings available, and some historical sites to explore. Le Brevedent is well known for its friendly welcome and helpful staff. 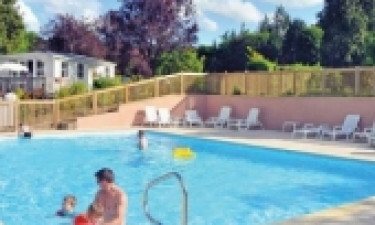 They pride themselves on offering a great family-orientated place to have a relaxing camping holiday, and as it’s located in Northern France, the travelling time is short as well. n the evening there are a couple of options when it comes to eating onsite. There is a cosy restaurant with a menu listing brasserie-style dishes, or there are delicious freshly-made pizzas on offer which can be taken back to the mobile home and eaten outside on the terrace. During the afternoons the cafe serves cool drinks and lunchtime food like sandwiches and ice-cream. There is a Wi-Fi connection there too for catching up on social media and checking the weather forecast. The bar is open in high season, and occasionally there is a little live music to listen to. At the campsite reception area there is a shop stocked with all the essentials plus a few local delicacies like honey and cheese. Every morning there is a new delivery of fresh bread and morning pastries. Reception also has an internet point and some tourist information.